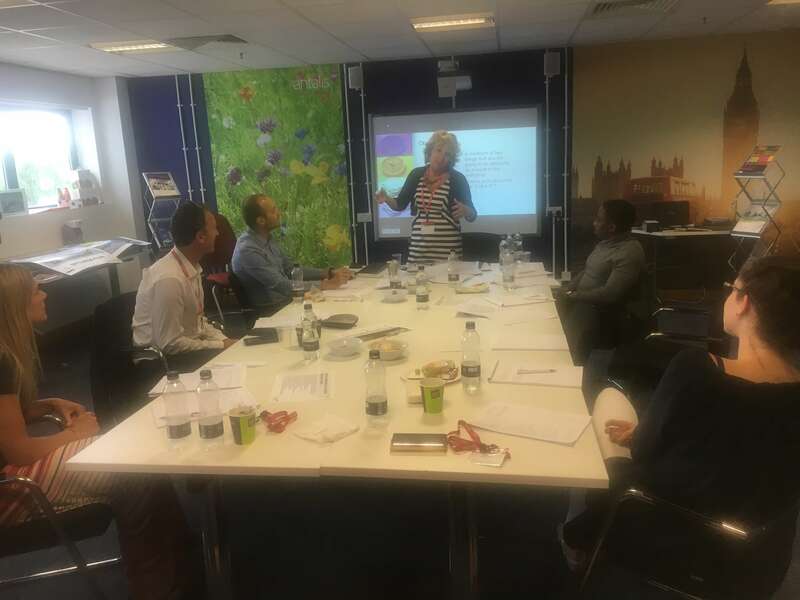 This week I returned to the Antalis Academy to master possibly one of the most important skills out there – time management. The final a set of four business courses taught by Julie Biddle. Time is one of those things that when lost you cannot get back. Julie made it clear that there is no easy fix, “magical” solution to time management. There is a set amount of time in each day and we cannot change that. It’s how we use it that makes all of the difference. We started off with a fun little task, the 6 of us had to pretend like we had been given £86,400 and decide what we would do with this amount. Some planned it out to the penny, others (me) came up with general ideas. It was a lot of wishful thinking, however, the activity had a good point to it – you see 86,400 is how many seconds we have in a day. If it was money we’d plan it all out, why do we not treat our time just as preciously? Julie separated our time into three categories; boss-imposed, system imposed and self/discretionary imposed. The latter being usually the only one we can control and the part we should focus on. But knowing what to focus on is where you begin. The Pareto principle states that 20% of the input accounts for 80% of the output. The tricky part is figuring out what that 20% is. To do this we all had to write out our KPIs and what actions we do to complete them. It’s an aspect of the workshops that I cannot credit enough – each course is tailored to the people who are in attendance. The tutors go out of their way to make sure it is relevant information and to make sure you apply it to your life and work. The best way to save time is planning – not over-planning but planning effectively. We covered many methods to help such as blocking out time to concentrate on work, goal planning and my personal favourite – the art of “to-do lists”. What gets written down, gets done. You see, I thought my to-do lists were sufficient but Julie took us through a way of compiling them in which you prioritise and sort the tasks out in a much more detailed manner. As someone who lives life through lists, it was a really interesting method which I’m already putting to good use. Another essential skill I picked up was how to manage emails, in this day and age where everything is done through emails, it’s easy to get side-tracked and caught up with them. Sometimes it’s necessary to take a break from emails and force ourselves to detox in a sense. Obviously, it’s not one of Julie’s workshops if she doesn’t set some sort of interactive task, this time around it was a role-play (note: I’m still learning not to run for the exits when role-plays are introduced). We had to learn to say “No” to tasks that are not ours. Teamwork is a must and we all love to help each other out, but we have to admit that sometimes we waste a lot of time doing jobs that we really shouldn’t be doing. So we were all given a question to ask the person on the right of us and we all had to answer no without coming up with an excuse or apologising. It’s harder than it sounds when my immediate answer is always “Yes, of course”. Being assertive is a skill which I probably still need to do a lot of work on but this exercise was a great first step. Thankfully (as always) we had a lovely group who made the task enjoyable and less daunting. I’m still surprised with how much I take away from a simple days training, and more importantly, how much I end up enjoying it.